The strength of flavour diminishes with time so we recommend that you make your mustard fresh each time. A pinch or two of dry mustard will perk up a vinaigrette dressing or can be added to mayonnaise to make a tasty dip. 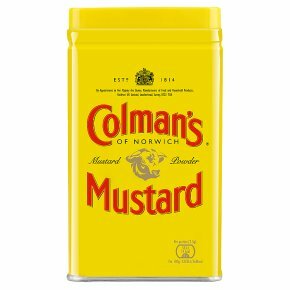 To make up Colman's Powder Mustard to serve as a simple condiment with food, only cold water should be used. Mix with equal quantity of water and allow ten minutes standing time to allow the full flavour to develop. The water acts as a catalyst that helps yield the essential oil of mustard which produces that unmistakable taste.